The Scottish Rite Master Craftsman (SRMC) program is an exciting by-mail correspondence course designed and administered by staff at the House of the Temple in Washington, D.C., under the guidance and leadership of the Supreme Council, 33°, of the A. & A. Scottish Rite, Southern Jurisdiction, U.S.A. Program II: Scottish Rite History & Ritual consists of six lessons, utilizing the Scottish Rite Ritual Monitor & Guide by Arturo de Hoyos, 33°, Grand Cross, and A Bridge to Light (4th ed.) by Rex Hutchens, 33°, Grand Cross, as its textbooks. 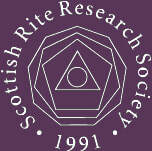 Program III: Scottish Rite Philosophy uses Albert Pike’s Morals & Dogma, Annotated Edition, by Arturo de Hoyos, 33°, Grand Cross and returns to the ritual of the Scottish Rite to re-explore it on a deeper level, by looking for the moral lesson imparted in each degree and then applying that lesson to one’s everyday life. The course consists of 33 quizzes, grouped into 10 sections. Upon completion of each course listed above, the participant will be rewarded with a medal or pins to denote multiple completions. To enroll, please click the link below!